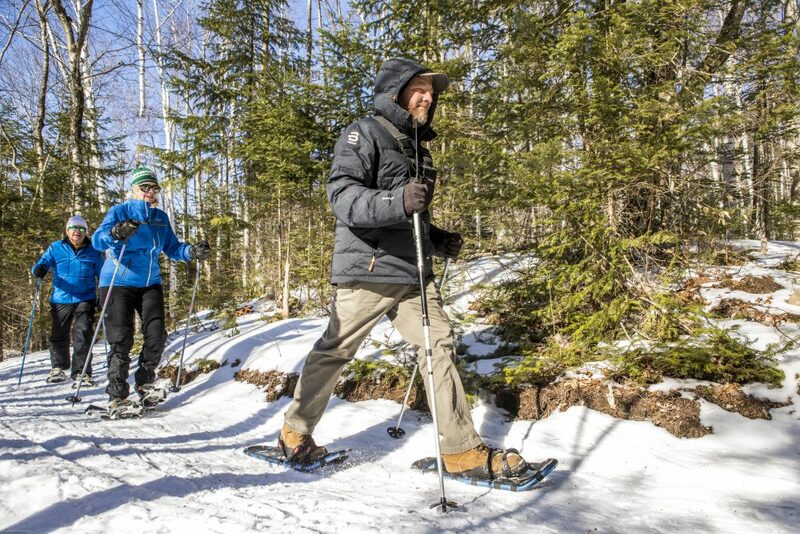 Snowshoeing has become quite popular in recent years, due to exciting equipment advances, new trails, and a renewed spirit to get out and discover the outdoors in winter. Snowshoeing is easy to learn and has been around for eons. 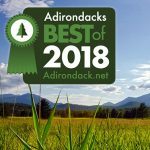 At Garnet Hill, we have a staff that is experienced with snowshoe equipment, techniques and trail routes and can have you out on the trails having a great time in no time at all. Hooper Mine – a short but challenging climb up to the old garnet mine with wonderful 360 degree views of the area. Balm of Gilead Mountain offers a nearby summit with a great view — a classic Adirondack snowshoeing trek! Botheration Loop – a fairly flat trek that leads through many different types of landscape and circles back to the Ski Shop. The newest equipment advances give snowshoers a great advantage over the old “woodies.” Most new style snowshoes are constructed with a very light weight aluminum or plastic frame with a light weight decking. In addition these newer shoes have snow and ice claws that grips into the snow creating a no slip traction system that is great for mountain ascents. Improved bindings round out the advances creating a very light easy to use snowshoe. Try them out! The Garnet Hill Ski Center rents and sells Atlas Snowshoes.